A group of UPEI students is hoping to grow their new business creating greeting cards that can be planted. Bury and Bloom will be the group's pitch for an upcoming regional and national competition through Enactus Canada. 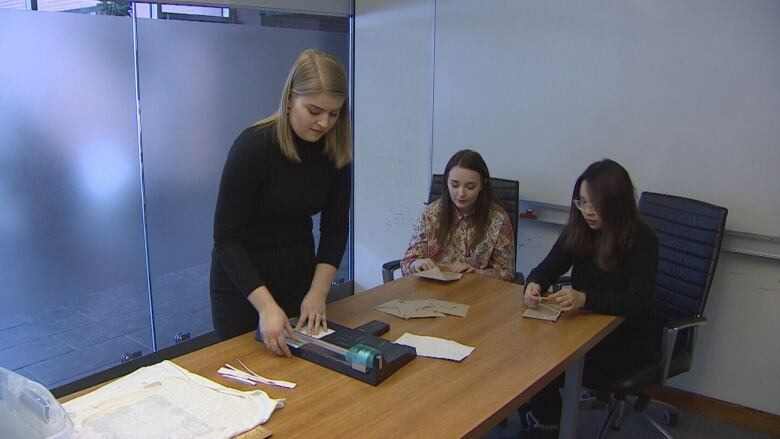 A group of UPEI students is hoping to grow their new business creating greeting cards that can be planted. The project is called Bury and Bloom. It will be the group's pitch for an upcoming regional and national competition through Enactus Canada. 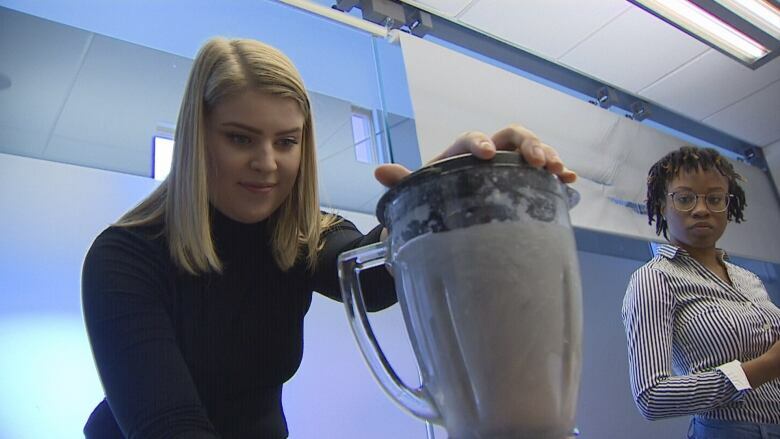 "We had to think about it for a really, really long time," said Ashley Doucette, a third-year business student who joined Enactus UPEI in September. "Really it was all about what's here already that we could use, that's being wasted, that we could turn into something new." 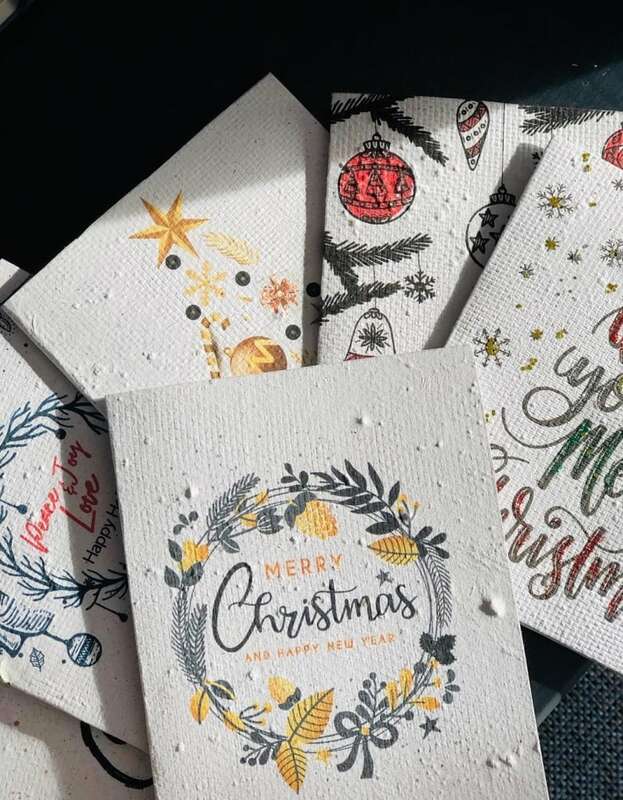 Each year, Enactus teams around the world create empowerment projects and business ventures, such as the plantable greeting cards that use recycled paper from UPEI. 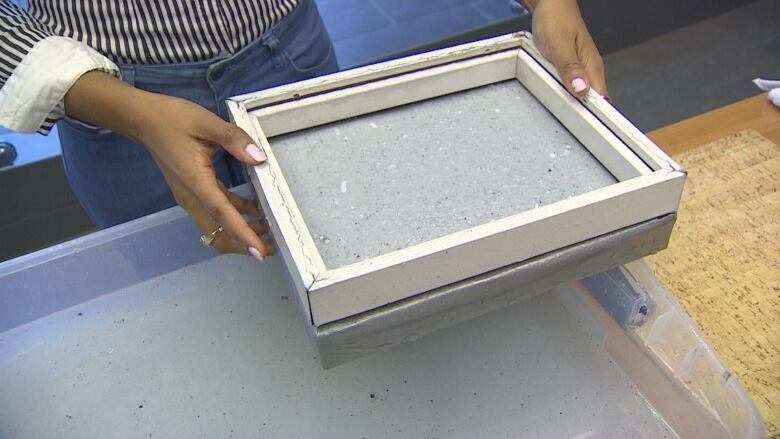 "Because we're doing it to recycle waste and make something new that can be planted, that's totally compostable," Doucette said. "That goes with the whole environmental aspect." Once they had their idea, they had to figure out a way to create the cards. 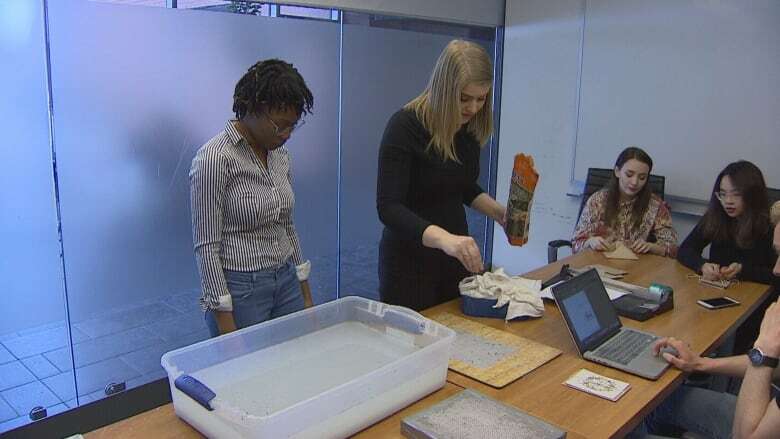 "To come up with the process is harder than it looks, we looked a lot online and then the stuff we found wasn't really working for us," Doucette said. "It probably took us two to three months just to actually find this process and get it down pat and make sure that it actually ended in a product that looked good." The team created holiday cards as a test run and have sold 180 so far to friends, family and one business. The cards will be sold to the public for $4 each, $6 each for a custom design. "Everyone seems to love it," Doucette said. "Everyone loves the look and what we're doing and what we're doing it for." And it's not just the cards. They will also be creating an educational website and doing outreach with Island children. The UPEI team will travel to Halifax in March for a regional competition and then the nationals in Vancouver in May. "Different schools have different ideas and they're all about the community," said Van Ngo, also a third-year business student and president of Enactus UPEI. "It's not just about doing good, they also make money and create jobs for other people." The Enactus team has landed financial support for the Bury and Bloom project: $2,500 from 3M and $1,714 from Innovation PEI. Ngo is proud of what the team has already accomplished. "The mission and goal of Enactus is to give back to the community and that's what I want to do," Ngo said. "Besides that, I get the opportunity to practise business with my friends." "I've learned a lot about teamwork, just working with everybody," Doucette said. "I've learned a lot about persevering even when you feel like things aren't going well and you can't do it, it all works out and you can figure it out in the end."